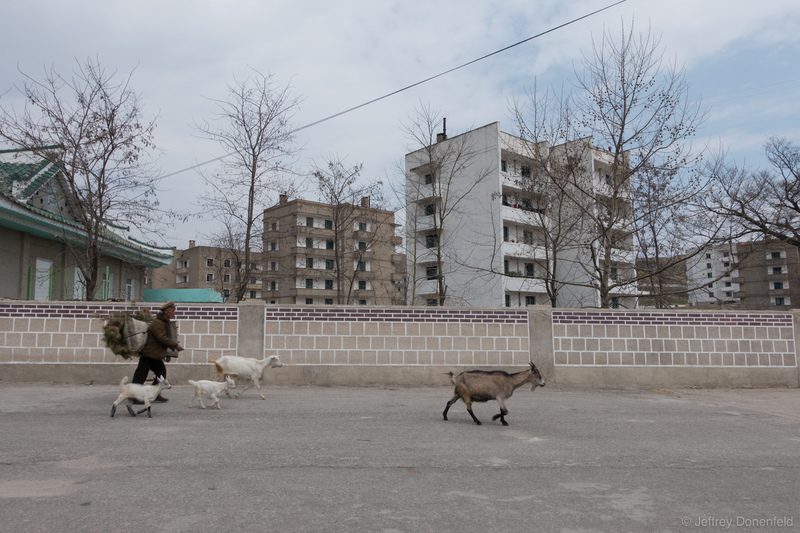 Outside of Kaesong, I noticed this goat farmer coming in from the fields with a few of his goats, and a load full of pine branches. As soon as I started to snap this pic, my government minders got a little edgy, and came running at me to tell me to stop taking pictures. The farmer was seen as a negative sign, and they didn't want photos taken of him. Outside of Kaesong, I noticed this goat farmer coming in from the fields with a few of his goats, and a load full of pine branches. As soon as I started to snap this pic, my government minders got a little edgy, and came running at me to tell me to stop taking pictures. The farmer was seen as a negative sign, and they didn’t want photos taken of him.